It was Paul’s desire to preach the gospel to those who had not heard it yet and it was ours, too. 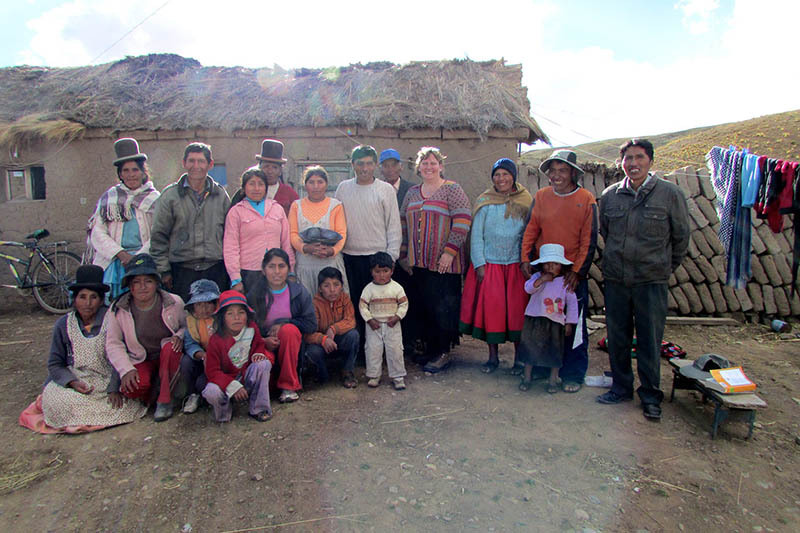 From the beginning Ron and Rhonda wanted to reach the Aymara people of the Altiplano in Bolivia with the good news of salvation by faith in Jesus Christ. 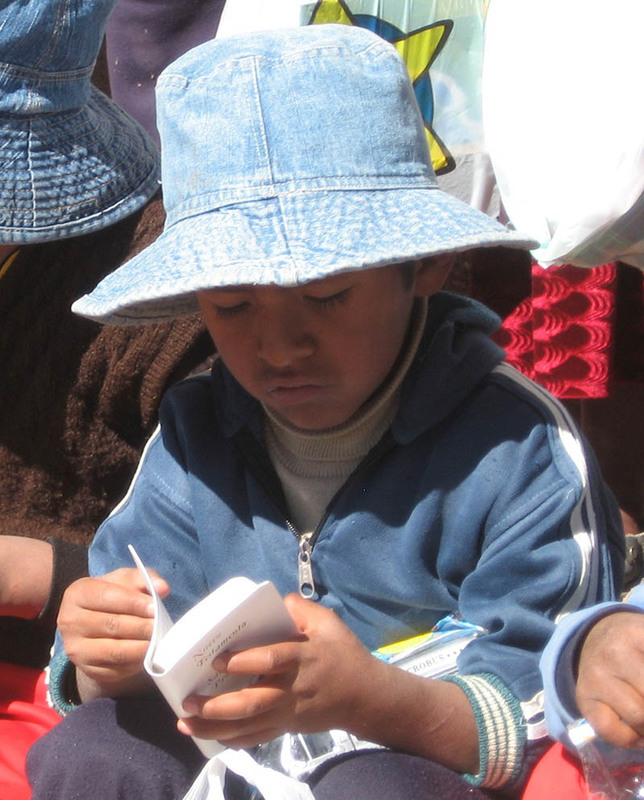 In many places in the Altiplano they still have not heard. I remember one Thursday afternoon, Pastor Juan and I were way off the main highway, “smack dab” in the middle of the Altiplano or in other words, in the middle of nowhere. Our objective was to visit some villages that we knew had yet to hear about Jesus, talk to some leaders and see if we couldn’t arrange for a medical trip to open the people’s hearts to hear the gospel. On our way back I picked up a man anxious for a lift. His walk would have been at least 5 miles to the nearest road so he was happy to crawl into the car. I asked him if he knew who Jesus was and he said he didn’t. So, I began to tell him about Jesus. I took him all the way into town, and he thanked me for the lift. I can’t tell you he received Jesus but what I can say is that it was not unusual to find people who never even heard the name Jesus. Such is the need! So how do you reach them with the news? One of our favorite ways is to bring a medical team to the village. This took a lot of planning and a lot of work, but it always opened hearts to the gospel. Juan and I would meet with village leaders. This took some arranging too. We would meet them and tell them that we wanted to bring a medical team to their village to help them with their health needs. I also told them that I only needed two things from them so that I could bring the team. They would have to allow me to show The Jesus Film in the Aymara language and they would need to make us a meal. Both of these things were easily agreeable to the leaders. Bolivians are a reciprocal people. So, if you do something for them, they must be able to give you something in return. The meal and the film served to fulfill their obligation. Once, we were in a village with a team showing the film. The people had never seen a film in their own language and one man said he didn’t know God spoke his language. One young boy had been watching intently for quite a while. When the film reached the point where the soldiers were pounding nails into the feet and hands of Jesus he jumped to his feet and balled his hands into fists. He was so moved by what was happening to Jesus that he pounded the table and began to cry. Joy finally came back to his face when he saw the resurrected Jesus in the film. He was among those who prayed with us at its conclusion. We opened doors to the villages in a variety of ways-school supplies, food baskets, Christmas presents. But we didn’t want to only bring the gospel. We wanted to make disciples who would in turn tell others and make more disciples. 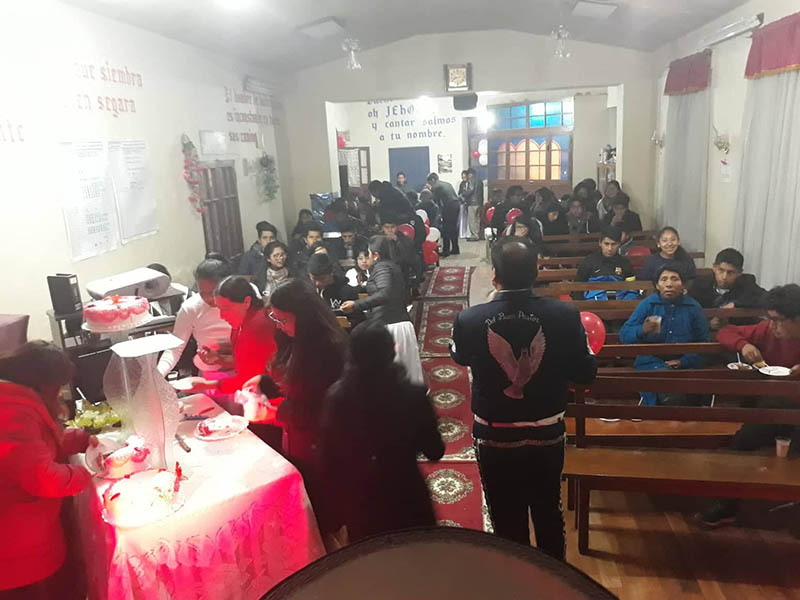 So we told bible stories in the Bolivian context and we sponsored Bolivian Pastors like Juan to return to the village and begin to teach the people about the Lord. This is the reach. It remains just one of our priorities. You can see the outreach to Calacachi under the Mission tab for more photos and to read about a village church plant.